Osip Braz. 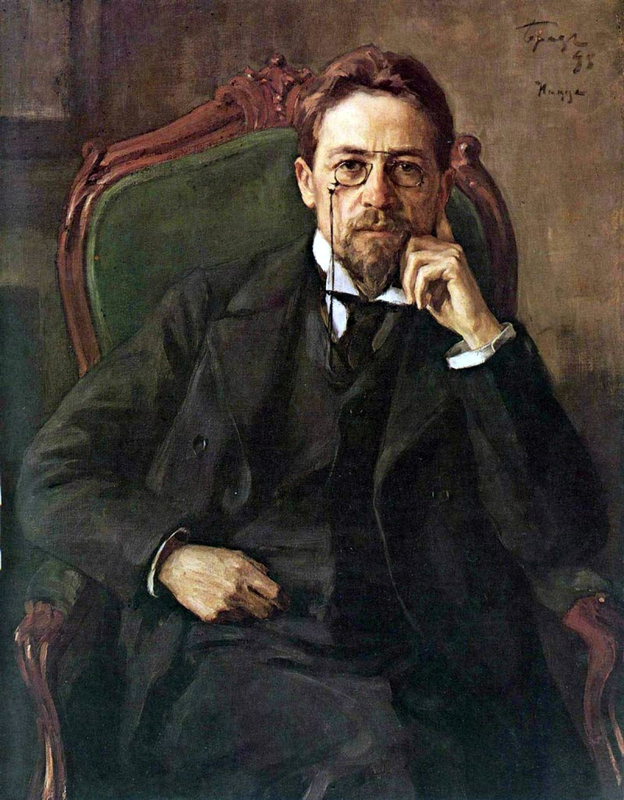 Portrait of Anton Pavlovich Chekhov (1898). Emotionally drained after a three-month stay in the Sakhalin Island penal colony, Anton Chekhov decided to take the sea route back to Moscow. The journey took him to Hong Kong, Singapore and Sri Lanka, where he seemed to be at his happiest. In 1890 Anton Chekhov, who by all accounts was a highly sensitive person, was completely shaken up by his three months on Sakhalin Island. After a long and grueling journey by train, horse-carriage and ferry from Moscow to the island in the Russian Far East, Chekhov spent three months interviewing settlers and convicts on what was then a penal colony. After setting sail from Vladivostok, which Chekhov lamented was characterized by “poverty, ignorance and worthlessness that might drive one to despair,” his ship bypassed Japan – in the grip of a cholera epidemic at the time – and headed for Hong Kong. The writer took an instant liking for the city. A lot of his impressions sound similar to comments about the bustling metropolis from modern-day travelers, who like the city’s bays, mountains, trams and Victoria’s Peak. The voyage from Hong Kong to Singapore also had a deep impact on Chekhov. While was happy to discover that he was not prone to seasickness even on a rough journey, he was disturbed by a couple of deaths on board. Muthu Kumar Mohan, a historian and former employee of the Asian Civilisations Museum in Singapore says the visit was low key and devoid of publicity, as Chekhov was not a world-famous writer at that time. “There is no record in the city’s archives of Chekhov’s visit, as it was very common for European ships to call on the port and for the passengers to disembark for a couple of days,” Mohan adds. The next port of call was Colombo, the capital of Ceylon, as Sri Lanka was then called. An oft-repeated story in the Sri Lankan capital is that Chekhov fell in love with a local woman during his brief stay. He traveled by train up to the ancient hill capital of Kandy and would have most likely taken the railway observation car, which was mainly used by Europeans in colonial Ceylon. The Russian playwright’s trip and legacy are celebrated with much fervor in Sri Lanka. He was an inspiration for one of the island’s most-celebrated writers, Martin Wickremasinghe, who wrote The Buddhist Jataka Stories and the Russian Novel during his illustrious career.